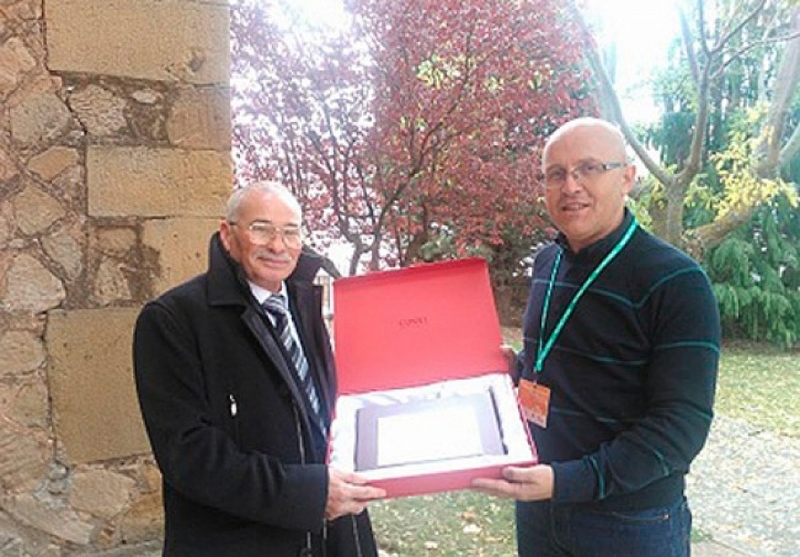 In the context of the III International Congress of Mycology of Soria, the mycology sector pays a sincere homage to Manuel Faúndez Rivas, a pioneer in the Marketing of Mycological Products in Castile and Leon. Cristina Mateo, responsible for Tourim of the Foundation Siglo, was in charge of giving her the commemorative plaque and thank her for her work in favor of mycology, on behalf of Castile and Leon and the Ministry of Culture and Tourism. Visibly excited, his thanks went to all his family, his four children and especially his wife, because all of them have supported him in what he has undertaken throughout his life.